Alistair Overeem is already making friends at his new camp of Jackson’s MMA out here in the arid stripmall wasteland that is Albuquerque. Alistair Overeem’s new teammate — and former opponent — Travis Browne had some choice words for the former K-1 World Grand Prix and Strikeforce Heavyweight Champion. Those words centered around Alistair Overeem not getting special treatment at Jackson’s MMA, that he’ll have to be a part of the team and participate like everyone else. 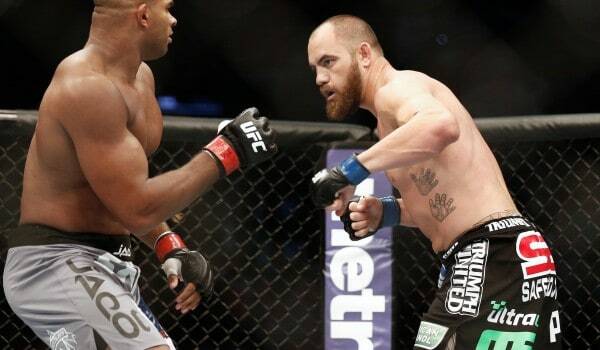 “I feel like a lot of people, because he’s Alistair Overeem, have catered to him,” Browne said. “I feel like the Blackzilians probably catered to him so he got used to it and he felt like he was going to be able to throw his weight around a little bit.